def The Balance of Payments (BOP) is an accounting record of all monetary transactions between a country and the rest of the world in a given time period, usually a year. A deficit refers to a situation where international receipts are less than payments. def The BOP is made up of the current account (CA) and the capital account (KA). The current account is the sum of the balance of trade, or net export revenue less payments for imports, and the capital account reflects changes in the ownership of national assets, such as foreign direct investment (FDI) and portfolio investment. A BOP deficit can be caused by a deficit in either the CA or KA. A deficit in the CA occurs when imports are more than export revenues. This can be due to a fall in export demand due to recessions trading partners. For instance, during the Euro debt crisis, Singaporean exports to the Eurozone declined as Europe decreased their demand for imports, leading to a worsening of the CA. A trade deficit can also be caused by weakened competitiveness of a countries' exports. For instance, higher costs and inflation may push the price of exports up. 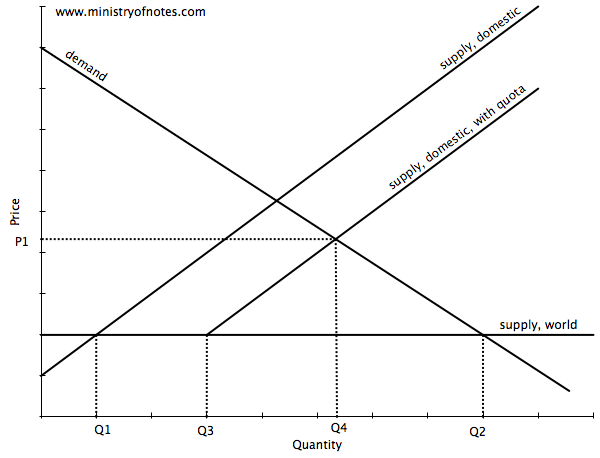 Since export demand is usually price elastic due to high substitutability, this leads to a fall in export revenue. A strengthening of the exchange rate would also have a similar effect by making exports more expensive and imports cheaper. 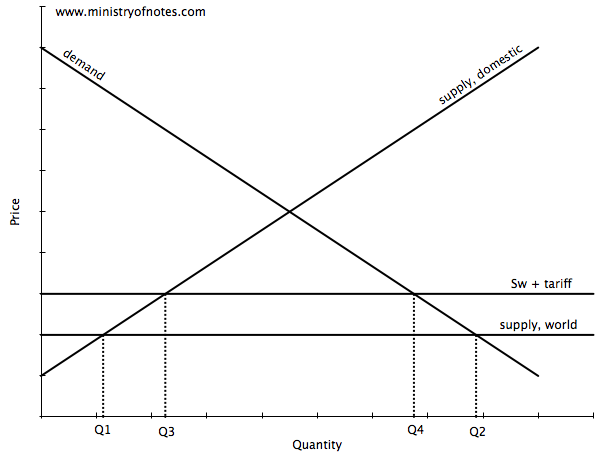 A KA deficit occurs when there is net capital outflow. For instance, lower interest rates may cause hot money to flow out of the economy as funds seek higher interest rates elsewhere. FDI is also heavily influenced by the business confidence of firms. For instance, Singapore received enormous FDI in its early years due to government policy encouraging FDI. On the flip side, when businesses foresee a fall in the expected returns on their investment, they will tend to withdraw their capital, leading to a KA deficit. def With the emergence of developing nations who participate in the global trade market, developed nations have seen more competition for some of their export markets from countries who have a comparative advantage over them. As globalisation leads to falling transport costs and the prominence of global trade organisations such as the World Trade Organisation, exporters in developing economies are beginning to compete more aggressively with exporters in developed nations. This has led to a fall in demand for the exports of developed nations as importers switch to developing nation exports, as well as an increase in imports by developed nations from these developing nations. This causes the current account to worsen, and a balance of payments deficit. thesis Hence, developed nations are inclined to deal with the BOP deficit by imposing protectionistic measures such as tariffs, quotas, subsidies, and legislation. These measures may be effective. tariffs Tariffs work to reduce imports by making them more expensive. As shown in the figure below, Q2 of goods are consumed in the country, with local firms providing Q1 of output and the rest Q2-Q1 imported. The imposition of an import tariff shifts the world supply vertically upwards by the amount of the tariff, which causes the level of imports to fall to Q3-Q2. quotas Quotas work in a similar way to reduce imports, by restricting the quantity of imports that can enter the country. In the figure, a quota of Q3-Q1 leads to a consumption of Q4 at a price of P1. thesis However, protectionism may not be the most effective way for developed nations to deal with BOP problems, as they are short term, have negative welfare effects, and do not address the underlying issues causing the persistent BOP issues. Protectionism is usually seen as an aggressive trading tactic by other trading partners, who are likely to retaliate with their own protectionistic measures. When carried out, this leads to a fall in exports of the country, which worsens the BOP. Developed nations should identify the root causes of a deficit in their current account. For instance, if weak exports are due to a loss in comparative advantage, they should consider implementing supply side policies to boost productiveness and encourage the formation of new niche industries where they are more likely to be competitive. In the long run this will lead to stronger export performance and economic growth. Expenditure reducing policies may also be required to address a high level of imports. For example, due to strong government spending and over-expansionary monetary policy in the US, the current account deficit has worsened. The US should consider reducing government expenditure as well as tighten up monetary policy in order to reduce the level of imports. However, such policies are only feasible when the country is doing well economically. During period of economic contraction, economic growth is usually placed at a higher priority that a favourable BOP. conclusion In conclusion, while protectionistic measures may seem attractive to developed nations in the short run, they are inefficient and may prove counter productive in the long run. To manage the BOP in the long run, countries should implement supply side policies as well as calibrated expenditure reducing policies.